Nellie has always been a nervous, shy, and easily frightened pup. 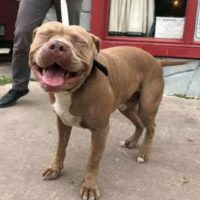 No one has ever called the 5-year-old pit bull pup, rescued from a homeless life, “brave” or “courageous”. But then, one day, she proved everyone wrong. Rocky the pit bull couldn’t resist chasing after a possum that he spotted while playing in the yard of his home in North Carolina. 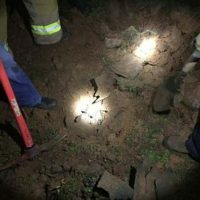 He hurried after it and eventually entered a pipe to keep up the chase – but then, he got stuck. 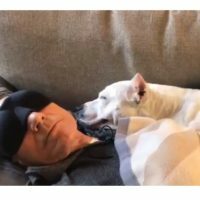 Patrick Stewart’s New Foster Pup Won’t Stop Smiling At Him! It’s safe to say that Sir Patrick Stewart is pretty famous, and he’s an actor who most people love. He’s starred in the Star Trek and X-Men franchises, and he’s amazingly talented. On top of that, he’s a dog-lover – and he fosters pups when he can! Happy Pup Thinks He’s The Model Volunteers Were Looking For During A Routine Photo Shoot! As they wrapped up an Austin Pets Alive! photoshoot one Saturday, volunteers Laura Berryman and Erin Einbender were told of a pup walking around in the neighborhood. 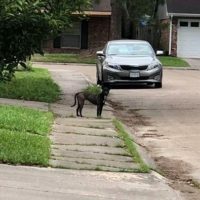 It was a typical Friday night when Jillian spotted two bright eyes staring at her from a spot in her yard when she went to bring the trash outside. She squinted to see an animal-like outline there, and she realized it was likely a stray pup.